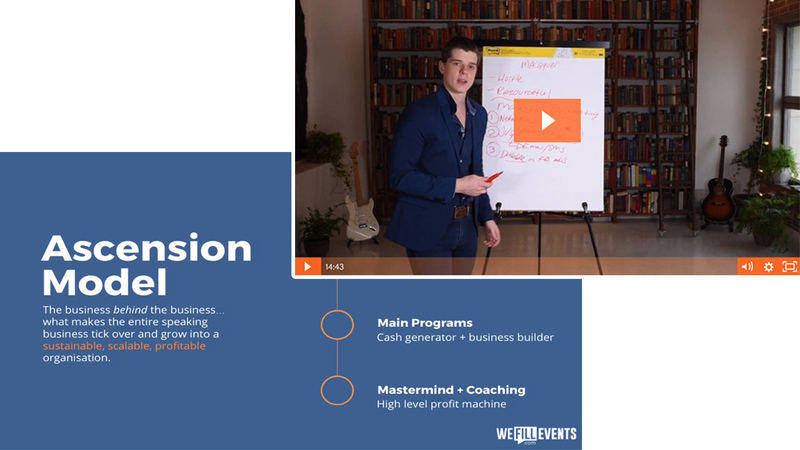 The Speaker Circle is the ultimate, step-by-step online training program for building a six to seven figure business through the leveraged power of live events - in as little as 12 short months! Access The Speaker Circle anywhere, anytime on any device and build the business of your dreams! Inside The Speaker Circle you'll get to dive into a deep library of world-class content which has been carefully created and curated on the back of building multi-million dollar speaking businesses with it for our clients.  We Fill Events has worked with speakers on all over the world, helping them to build fast growth 7+ figure businesses from stage. All of their secrets are inside THIS online training. What you'll learn inside The Speaker Circle is not theory. It has created millionaire speakers from scratch, time and time again following our proprietary methodology and systems. You can't simply just 'Google' what we have in The Speaker Circle. 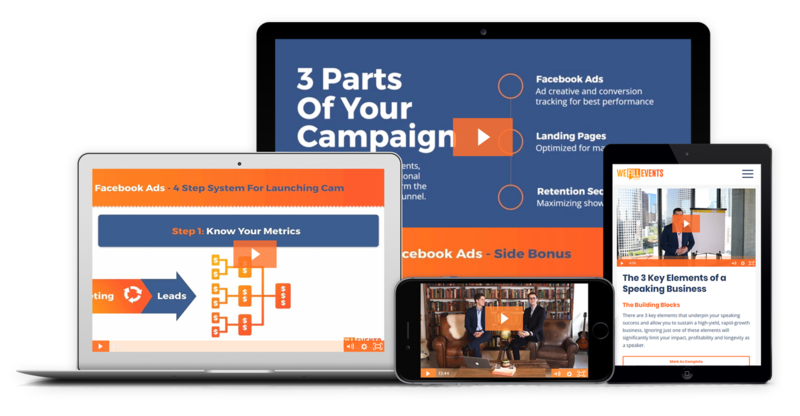 This exciting platform is a smorgasbord of tools, strategies and insights all located in one easy to access home. We Fill Events has proudly partnered with another industry leader. The one and only Dr. Andrea Pennington. Andrea is a world class entrepreneur and speaker who travels the world inspiring rooms of 10 to 10,000. Her speaker training content will be exclusively available here, in The Speaker Circle. 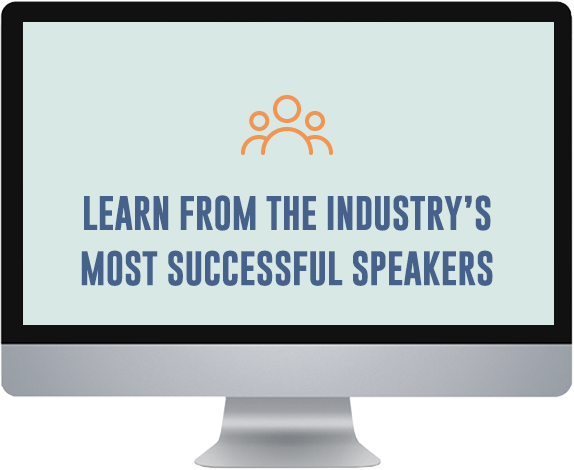 Get ready to learn from one of the industry's brightest lights and authentic messengers. Dial into the 'what' of your keynote speeches and informal talks so you can be ultra-effective from stage. Andrea will show you how to craft your entire presentation; from sharing your own narrative through to weaving in the deeper messages you wish to deliver. 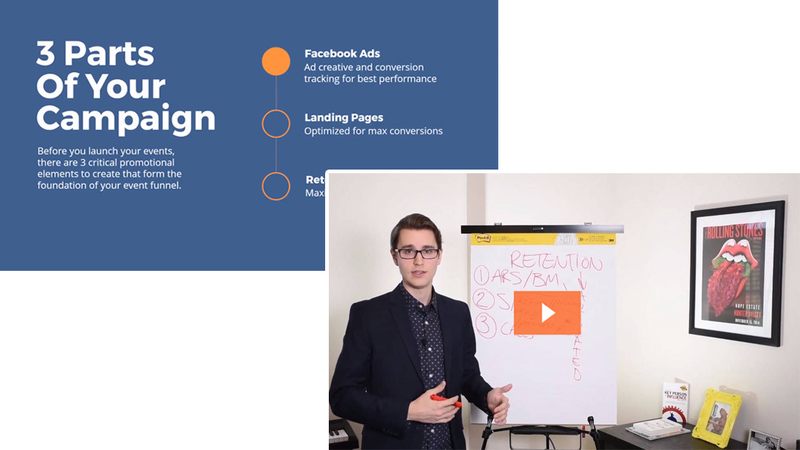 You'll learn how to harness the energy and flow of your presentation, ensuring that the timing and structure help you create the perfect start and lead to an impactful finish that will move your audience and inspire them to your call to action. So much of what you 'say' on stage won't come from the words you choose from from the entire symphony of tone, pitch, pace and even your body language which rounds it all off. Andrea will help you master the art of complete communication. Speaking really reveals its power when you can not evolve past being heard by an audience and instead connect with them on a deep level. Andrea will show you how to connect through to the heart with powerful language, enabling you to speak straight to the subconscious mind and connect to the soul. When you join us in The Speaker Circle, you're in the safest hands - learning from industry leaders, who've supported the industry leaders throughout 1,000+ events all over the planet. In our opinion, speaking is one of the single biggest catalysts to any entrepreneur's success willing to do it consistently. Speaking done right - with a system, a blueprint, as well as a tried and tested model of success can turn a struggling business into a booming business in as little as a couple of events. 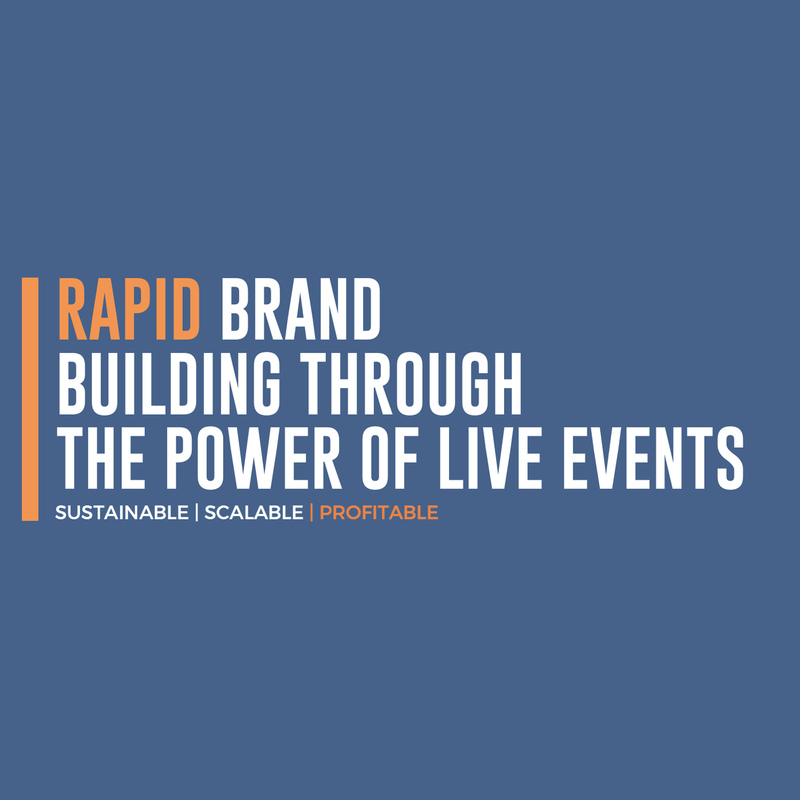 We are beyond passionate and dedicated to helping business owners like you to accelerate their growth using the power of live events. We have seen it time and time again, just how transformative and lucrative speaking can be. Not only have we seen it, we've helped counted entrepreneurs engineer their million dollar successes from stage. Join The Speaker Circle today, and discover the road ahead! Building a speaking business or enhancing the business you already run through live events is an intricate thing of beauty. Don't leave anything to chance, let the experts take you all the way. 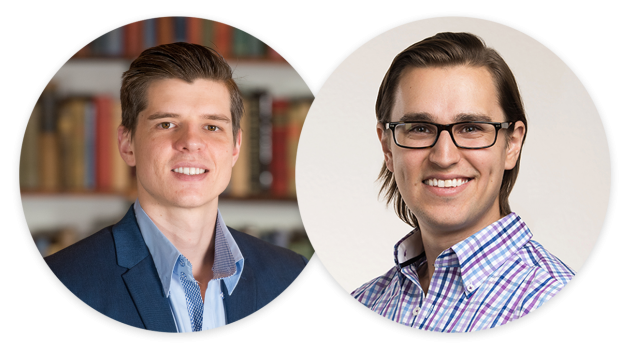 We spent an entire year pooling together over a decade's worth of our knowledge and experience that has helped shape the million dollar speaking businesses we've built with our clients. We then took that golden content and proudly built The Speaker Circle with it. Whether you are new to the speaking world or have decades of stage experience under your belt, it's critical to build your business (and the events that support it) with the right foundation. 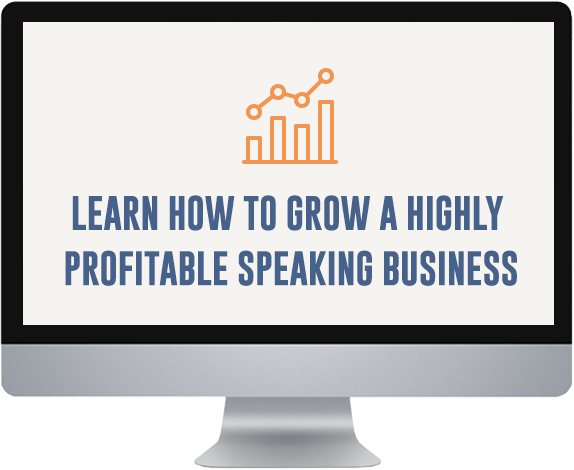 In this section, you will learn insights and strategies to truly build a speaking business that is sustainable, scalable and profitable. The biggest challenge speakers face constantly is that of filling their events - no audience, no business... no impact! 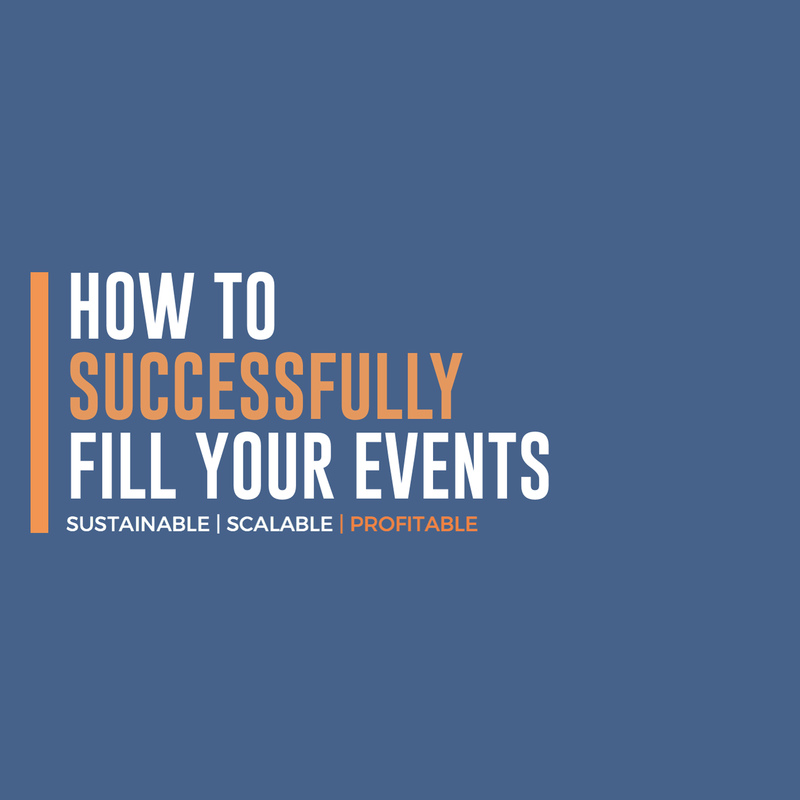 Learn from the best and discover our proprietary automated systems that help us be even more efficient when it comes to filling events all over the world. You're just a couple clicks away from being a valued member of a unique global community entirely dedicated to helping you achieve your success through speaking and live events. Are you ready? Still on the fence and have some questions? No problem! Take a browse through the additional information below! When you register to become a member of The Speaker Circle community, you'll instantly receive private login details to our secure platform. The first time you login, you'll discover that you have full access to our entire training library thats stacked with over 60 hours of industry specific trainings that you can't find anywhere else online. You'll also have access to our live community inside the closed Facebook group and supported as you learn. You'll be pleased to know that once you're in, you've got access for life. On top of that, you'll also be able to access the trainings anywhere, anytime and across any device so you can learn wherever you like! IS THE SPEAKER CIRCLE RIGHT FOR ME?  If you're a developing speaker or a business owner committed to learning how to leverage the power of live events to grow your business then The Speaker Circle was made for you. This platform is a continuously growing resource designed to help people build speaking businesses from scratch OR bolt on a speaking component to their existing business no matter what industry they may be in. The Speaker Circle likely wouldn't be for you if you're already running multiple speaking tours a year, working with hundreds of people in your business annually and already have a team helping you drive the business behind your live events. WHY AM I GETTING AN HUGE DISCOUNT? Simple! As you'll learn through The Speaker Circle, business can be much easier through partnerships! Partnerships allow you to create unbelievable offers because they help you solve one of business' biggest problems for everyone - distribution. Thanks to our special partnership with Andrea, we're able to bring the barrier to entry down to the amazing price that's available to you today. Don't thank us, thank Andrea Pennington. We Fill Events is leader in the world of event promotion having promoted over 1,000 events globally, registering over 300,000 guests and doing so across 5 continents. As a company, we are committed to making an impact by empowering professional speakers to make their difference from the stage. If you become a part of our protected community, we ensure to safeguard your data and store it safely within our customer relationship manager. 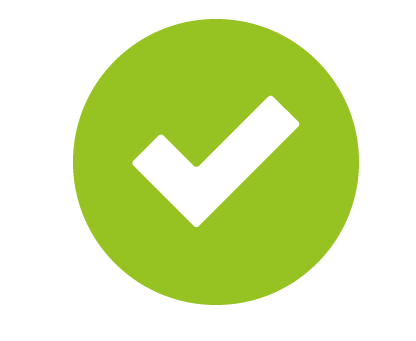 We will communicate with you via email and potentially SMS and by telephone so long as your details are stored within our system. 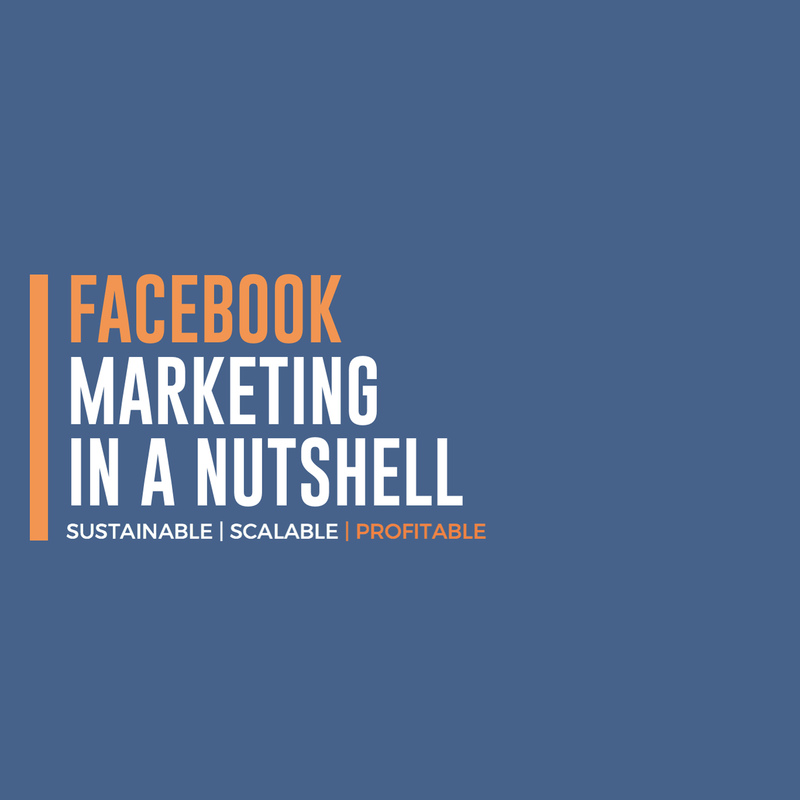 Communications will include marketing messages, service updates and potential future promotions that we believe will value your growth as a speaker. Our commitment to you is to always operate in total transparency and congruency, serving our community with the highest levels of integrity that we are acknowledged for continuously within our industry.